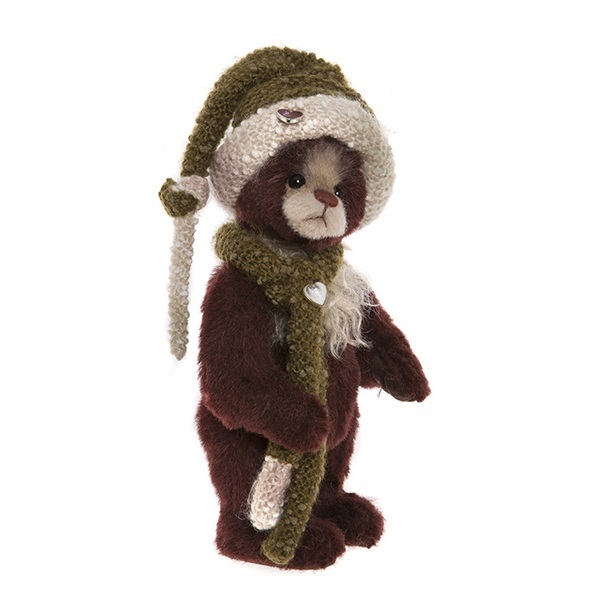 Made of ruby red alpaca, with a beige mohair face and longer mohair on his chest, Jingle Bell is part of the Isabelle Collection for Christmas. He has an airbrushed, red stitched nose, black eyes and brown ultrasuede paw pads. 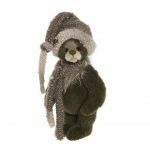 Jingle Bell wears a matching knitted scarf and hat and stands freely on his flat feet. Fully jointed and part pellet filled.